Our standard single rooms are ideal if you're travelling alone. The rooms are beautifully decorated and are approx. 18–20 m2. They are furnished with a comfortable large single bed (105 cm), desk, chair, armchair, and TV. Our standard double rooms are 22–24 m2 and have fantastic views. The rooms are furnished with a comfortable double bed (160 cm), desk with chair, armchair, and TV. 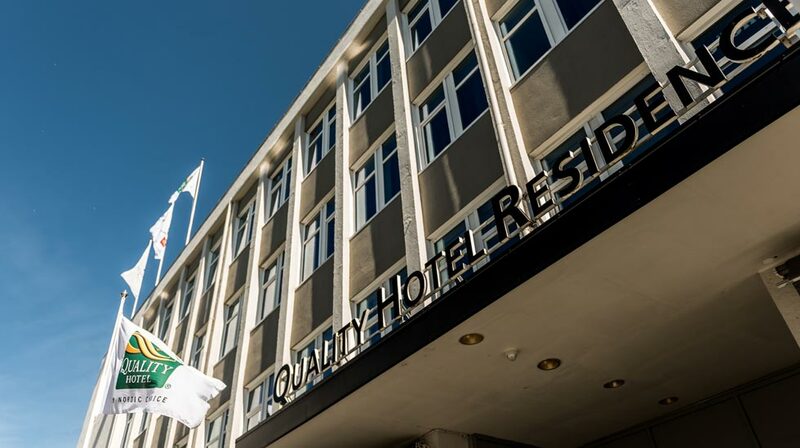 Our spacious superior double rooms (22 - 24 m2) are furnished with two comfortable large single beds (2 x 105 cm), which can be put together to make a double bed, a desk with chair, armchair and TV. The fantastic views and modern design are included. Our deluxe double rooms are our most spacious room type and are perfect if you're looking for a bit more space. The rooms (28 - 37 m2) have a comfortable double bed (160 cm) with extra thick duvets and pillows. The rooms are also furnished with a desk, armchair, coffee maker and bathrobe. Deluxe double rooms have beautiful views and tea & coffee making facilities. Our spacious family rooms (32 m2) have beautiful views and are furnished with a double bed (160 cm) and sofa bed or extra bed (90 cm), desk, chair, armchair and TV.